Naturopathic Medicine uses the least invasive and most natural treatments to help restore balance and health to the body. 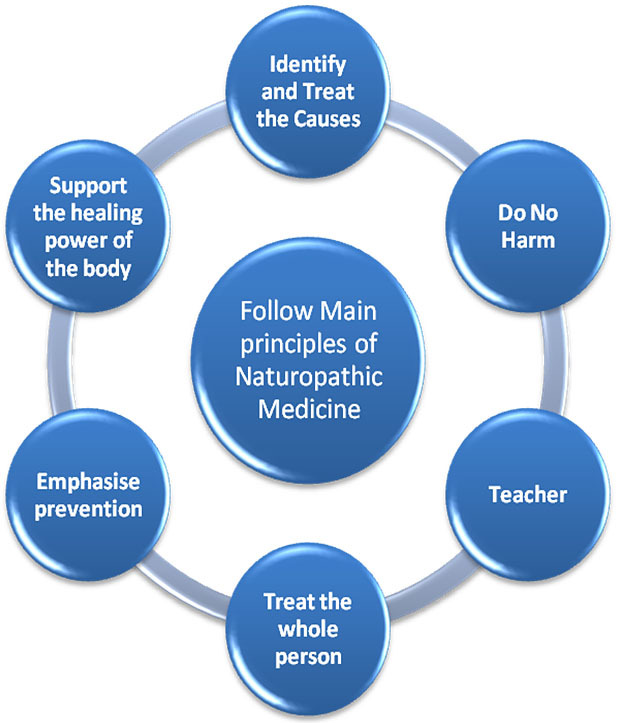 As a form of primary care, Naturopathic medicine is the science, practice and art of diagnosing, treating and preventing diseases of the human body and mind. What kind of training does a Naturopathic Doctor (ND) have? Like medical doctors, Naturopathic Doctors undergo extensive training: 4 years of premedical school, 4 years of medical school, and rigorous board certification. Just like medical doctors, Naturopathic Doctors learn a lot of the same advanced sciences, physical and lab diagnostic techniques, imaging, and pharmaceutical medicine. In addition to this, NDs also receive training in botanical medicine, homeopathy, nutrition, IV and injection therapy, hydrotherapy, lifestyle coaching, counseling, and physical medicine. NDs have numerous holistic modalities to draw upon. 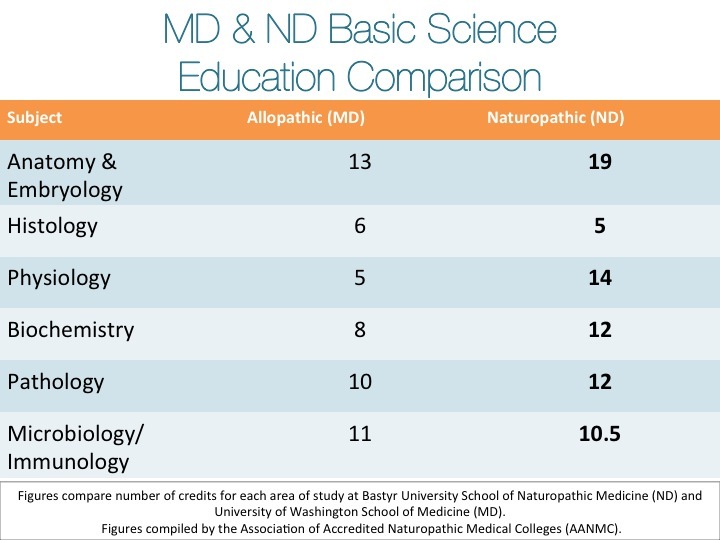 What is the difference between a medical doctor (MD) and a Naturopathic Doctor (ND)? Medical doctors tend to use pharmaceutical medicine and invasive surgery as their primary treatments. They often don’t spend much time with their patients, and they use generalized protocols to treat symptoms of disease. In comparison, Naturopathic Doctors treat the person, not the disease. NDs spend a lot of time listening to their patients, forming relationships, and tailoring their natural treatment plans to each individual. We educate our patients to make informed decisions about their health, and help restore vibrance and vitality to each person we treat. How do Naturopathic Doctors treat illness? Naturopathic Doctors look at the whole person, the whole picture, and address the physical, mental, emotional, and spiritual aspects of disease. Although our treatments help relieve the symptoms, our goal is to identify and treat the underlying cause of disease in order to create lasting change. Yes, NDs are trained and certified to prescribe pharmaceutical medications, although, we usually choose not to do so because we have much more effective and efficient treatments with little to no side effects. Do Naturopathic Doctors accept insurance? In the state of California, insurance coverage is variable. We recommend calling your insurance carrier and asking specifically if they cover Naturopathic Medicine. The following insurance carriers often reimburse partially to fully: Aetna, Blue Cross/Shield, Cigna, etc. Typically, standard lab work is covered. Often, partial specialty testings are covered as well. We are “Out of Network” and you will want to ask your insurance provider what the coverage is for these types of visit. We will do what we can to help you get reimbursed. Click here for more information about how to most successfully seek reimbursement from your insurance carrier. As Naturopathic Doctors, we spend a lot of time with our patients, listening carefully to their health concerns and health goals, using physical and laboratory diagnostic techniques to accurately diagnose their condition, and creating an effective and sustainable treatment plan. 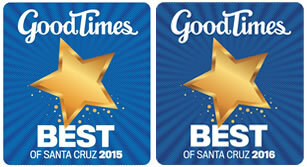 Our first visit is 1.5-2 hours long and the price range is from $185-$299. Follow up visits are shorter and range from $50-145. Lab tests and medications vary in cost and will be in addition to these fees. Can NDs run lab tests? Yes, we run all basic blood work, and many specialized tests as well. Blood labs can be drawn up at our office or at LabCorp. We can also order imaging and other diagnostic techniques as necessary. What’s the difference between a “Naturopathic Doctor” and a “Naturopath”? These terms can be confusing. 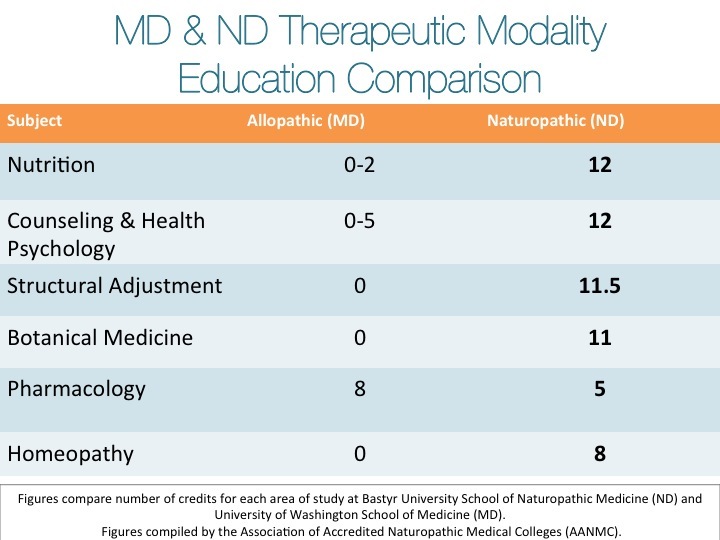 There are people who train in Naturopathy to become Naturopaths, but have not undergone 4 years of accredited, graduate level medical school or board certification, so they are not doctors, and they cannot practice medicine. Someone who is deemed a Naturopath, may not be a doctor, but sometimes Naturopathic Doctors refer to themselves as Naturopaths (for short). At Thrive Natural Medicine, all the Naturopaths are all Naturopathic Doctors- licensed to practice medicine. The initial visit is a 2 hour long intake. The Naturopathic Doctor will ask questions to understand the details of your current state of health, past medical history, family history, and other lifestyle factors to get a sense of your complete health picture. 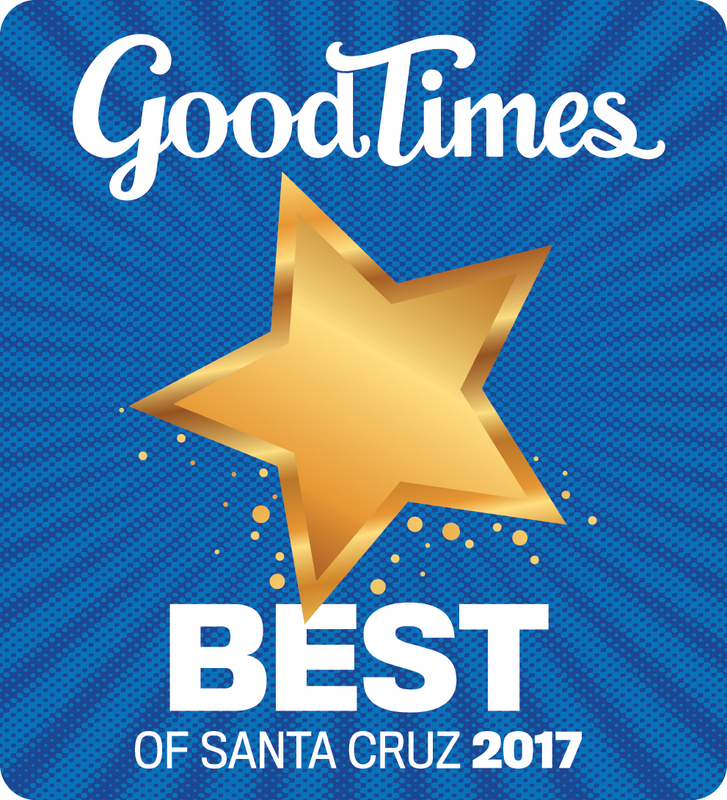 At this visit, we will perform any necessary physical exams, discuss ordering labs, and initiate an individualized treatment plan that is tailored to your needs and preferences. Two hours may seem like a long time, but it often passes quite quickly, and typically, we use the entire amount of time. What can I expect for follow up appointments? Depending on the complexity of your health concerns, follow up appointments typically range from 1-10 visits. At the end of the initial visit, your doctor can give you a better idea of what your plan will look like. As primary care doctors, we can perform routine wellness exams, women’s gyn exams, and check-ups. Once your health and vitality is restored, regular check-ups can be limited to once or twice a year. I already have a Primary Care Physician, does it make sense for me to have a Naturopathic Doctor, as well? Absolutely, Naturopathic Doctors are considered Primary Care Practitioners in the state of California. Some of our patients choose to utilize their Naturopathic Doctors for their primary care since we can do physical exams, order labs, diagnose and treat and prescribe medications. Bear in mind that a visit to a naturopathic doctor is much like scheduling maintenance for your car. Just as frequent tune-ups help to keep the tow truck away, regular visits to your naturopathic doctor can keep you healthy and out of your medical doctor’s office. Naturopathic Doctors focus on disease prevention and wellness optimization, while the education of medical doctors tends to focus on emergency care and crisis resolution. Your Naturopathic Doctor and your medical doctor can play different, yet complementary roles on your healthcare team by using different methods to keep you healthy. Are NDs against all conventional prescriptions and medical treatments? Naturopathic Doctors are well versed in an integrative approach. We are trained and licensed to use pharmaceutical medicine, however, we often choose not to use pharmacology. In fact, we can assist patients in discontinuing certain medications safely and effectively. There are times when pharmaceutical intervention may be appropriate. Our goals is to use the most impactful treatments with the least invasive method. Naturopathic Doctors often work in unison with medical doctors to create optimal adjunctive care.